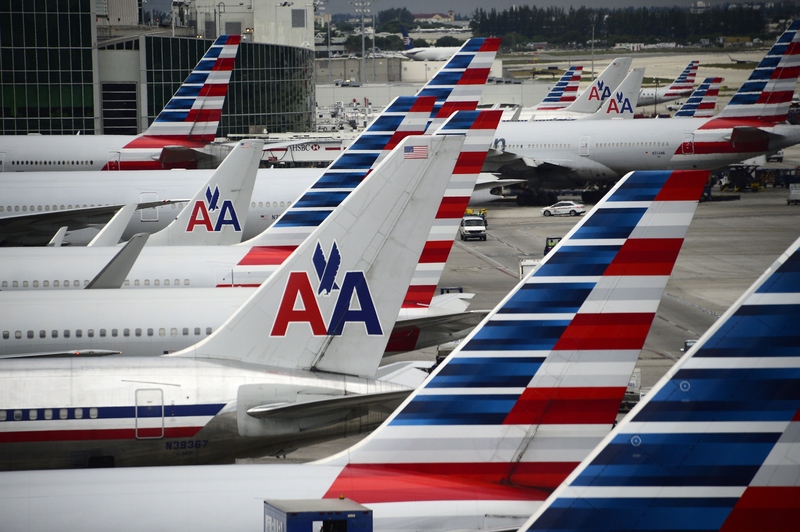 Late Monday evening, American Airlines identified Michael Johnston as the pilot who became ill and died while flying a commercial plane from Phoenix to Boston earlier that day. The West Jordan, Utah, man was navigating the plane, which carried 147 passengers and five crew members, when he passed, causing the co-pilot to divert the plane and make an emergency landing a little after 7 a.m. in Syracuse, New York. This case is rare — just seven U.S. commercial pilots and one charter captain have died mid-air since 1994, according to the Federal Aviation Administration. All of us at American extend our condolences to Mike's wife, Betty Jean, and to his entire family. They have lost a husband and father, and many of you have lost a personal friend. According to CBS affiliate KUTV, Johnston had flown for more than 25 years. His wife, Betty Jean Johnston, told the station her husband most likely died from a heart attack, saying, "He has had problems with his heart. ... He seemed perfectly fine." Johnston had double bypass surgery in 2006 and was required by the airline to have a physical every six months to ensure he was fit to fly. Johnston was a graduate of Brigham Young University and started flying with American West Airlines in January 1990 as a first officer on the Dash-8, according to a statement from American Airlines CEO Doug Parker. He later flew Boeing 737 and Boeing 757 jets before eventually flying the A320 as a captain. Betty told NBC News the couple were parents of eight children, ages 12 to 34. The pair's 35th wedding anniversary would have been Oct. 18. "He loves flying," Betty tells NBC News. "He is very loving and caring, and he'll do anything for anybody — bend over backwards, try and help out anyone as much as he can. He's always been that way." Our condolences are with Johnston's loved ones.